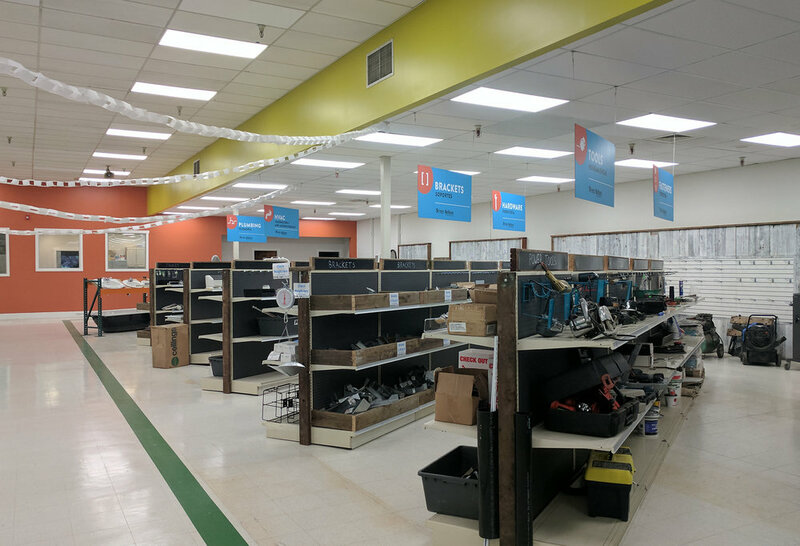 Habitat for Humanity ReStores are nonprofit home improvement and décor stores that engage the community with on-site donation and volunteer opportunities. Propel Studio has teamed up with Restores to transform an existing warehouse on NE Gresham into a vibrant, creative and inviting space. 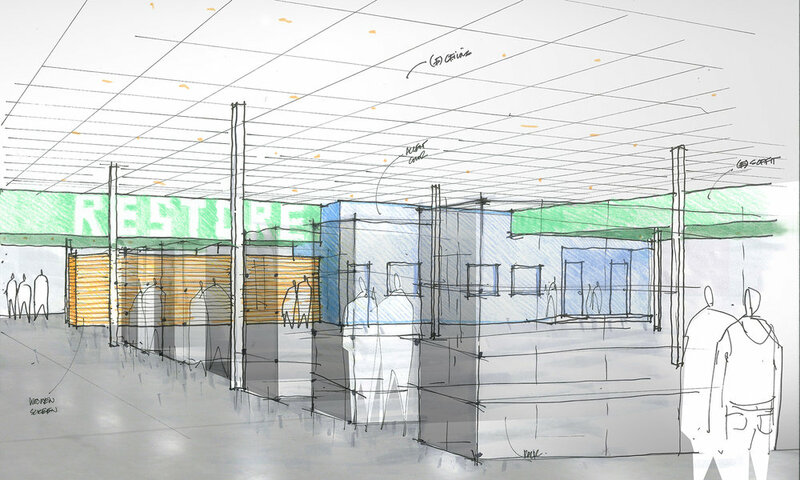 Utilizing the existing structure of the building, the building's space planning is designed to promote easy way-finding for Restores customers and flexibility for Restores employees. Our team is especially excited to have the opportunity to work on the mural design for the building's south facade. The mural concept is to synchronize Oregon's intriguing landscape with Oregon's diverse communities, and to strengthen Restores' mission to bring nature, people and sustainability together. More information about this project could be found here.